Female vocalist Pamela Moore, who is best known for her performance as Sister Mary on QUEENSRŸCHE‘s 1988 epic release “Operation: Mindcrime” and 2006’s sequel “Operation: Mindcrime II”, has released a teaser for her upcoming video for the song “WiFi Zombie”. The full clip will make its online debut on Tuesday, June 19. 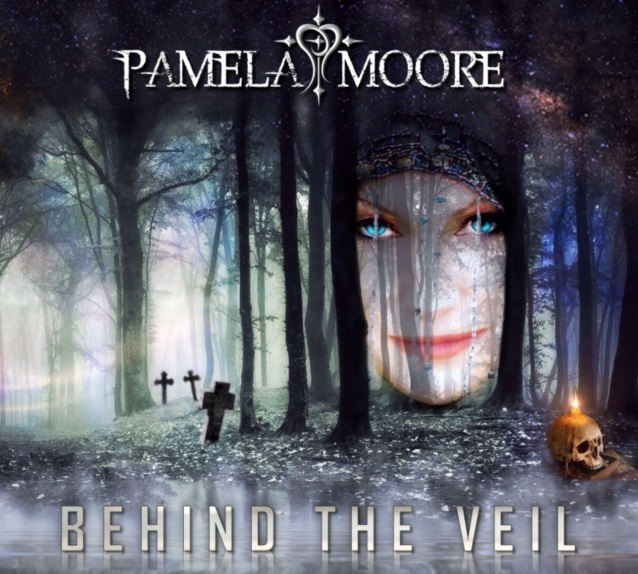 “WiFi Zombie” is taken from Moore‘s new album, “Behind The Veil“. Moore is a proven musical powerhouse and veteran entertainer. A native of Seattle, Washington, Pamela moved to New York City in the late nineties to become the singer for RADAR, recording the band’s 2000 release, ‘R.P.M.” When RADAR dissolved in 2001, Pamela returned to the Pacific Northwest. Pamela continued following her passion, making guest appearances on various albums in the next decade. Pamela also toured with QUEENSRŸCHE between 2003 and 2008 as a featured vocalist and stage actress. That tour reignited Pamela‘s desire to record her own album, and she began writing songs with former RORSCHACH TEST guitarist Benjamin Anderson. The two found instant chemistry as Pamela‘s lyrics and melodies brought Anderson‘s musical ideas to life. “Stories From A Blue Room”, released in 2006 under Planet Sweet Records, was the compelling result. The eleven-track album featured guest vocals from Terri Nunn (BERLIN) and contributions from guitarists Michael Wilton (QUEENSRŸCHE) and Jeff Loomis (NEVERMORE). After touring extensively with QUEENSRŸCHE, Pamela took her time finding the perfect collaborators for her next album, “Resurrect Me”. Chicago-based guitarist Michael Posch (RADAKKA) provided potent, addictive metal grooves and soundscapes. Combined with Pamela‘s stylistic, emotive power vocals and inquisitive lyrics, they created pure metal magic. “Resurrect Me” was released in 2013, with very happy fans across the globe.